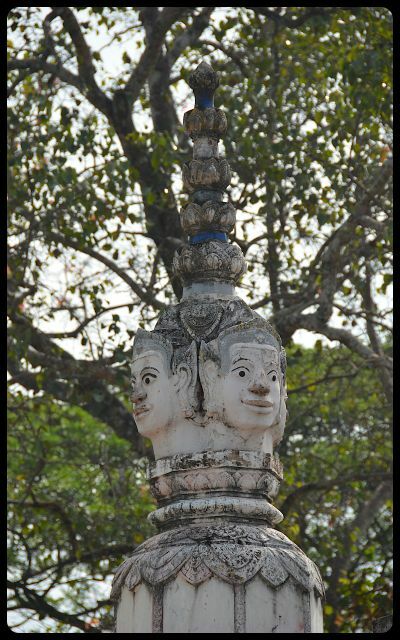 In Angkor Wat’s shadows, this pagoda is likely overshadowed by her formidable neighbor. 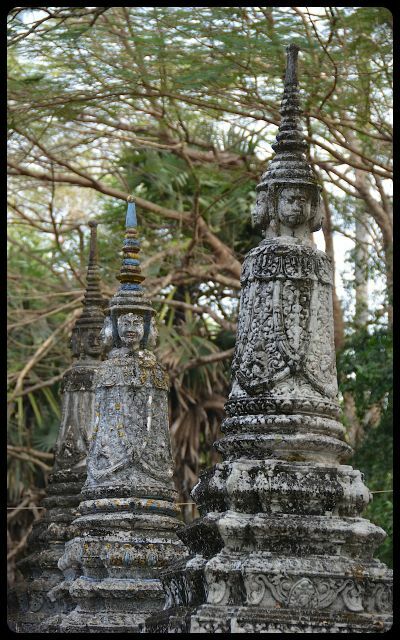 But the pagoda’s stupas, Khmer painting, and intricate facial details are lovely – situated on a compound just outside of Siem Reap, Cambodia. where ? 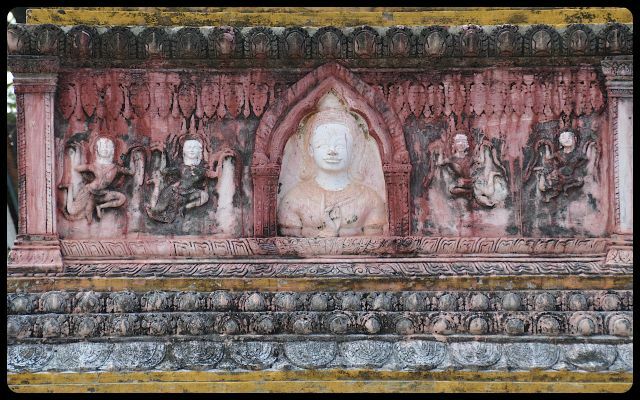 could you tell me about date of the Stupa? Hoinra, greetings. I regret that I don’t have any specifics to share with you about this building. Unfortunately there was no historical marker on site, but its location is adjacent to Angkor Wat.